Illegal consumption of spurious alcohol is consistently on the rise. Barely a week after the UP Hooch tragedy that claimed 116 lives, this time around, it is Assam. These breweries operate hideously, often as a ‘side’ product on factory premises. As far as reports go, 110+ have been reported dead- a casualty every 10 minutes! Governmental promises to eradicate the illicit liquor mafia look like blunt proposals nowadays. In 1992, the Parthasarathy Committee Report suggested a smorgasbord of actions to be taken in order to prevent hooch horrors. Besides laws to discourage unauthorised storage of methanol, it recommended the addition of a bitter substance to make it undrinkable. In all, 17 recommendations were put on paper. Till date, it remains to be effectively implemented. Last year, the Uttar Pradesh government amended a section in the State Excise Act, slapping death penalty charges on those responsible for hooch deaths. Despite such a move, a week back, disaster struck. This points to glaring loopholes, and most of this is due to the khaki-clad men looking the other way in exchange for hefty fees. Yesterday, it was Maharashtra, Bengal, Bihar, UP, and countless many. Today it is Assam. Tomorrow, it may strike terror in yet another province. How far can we tolerate this? Can surprise raids in shadowy factories not be conducted? Is it altogether impossible for the government to catch the sinister bootleggers who manufacture the concoction of death, red-handed? The answer is a clear yes. Only, the intent is missing. With just a day to go before we conclude 2018 on a positive note, there must be a list of unbelievable successes we have attained in the year; and a similar list of unchecked boxes that we would have liked to see crossed, but couldn’t for whatsoever reasons may be. In the span of the last 364 days, we lived out another year of our lives. Did we do something different? 2018 has been a rather eventful year for me, and one with surprises filled to the brim. Post the initial hectic months panning all the way from January to May, I earned a seat in KIIT’s Electronics department. Truth be told, shifting to Bhubaneswar wasn’t all that bad. The hostel rooms are decent enough, and mess food isn’t as pathetic as it is the case in many other institutions. Bhubaneswar is not just any smart city, it is the rank-one holder in the list of smart cities published by the Government of India. College life is easy provided you maintain the academic discipline and regularity. It indeed is difficult to keep your concentration together and channelise your energy in the right direction, especially with a number of distractions around. But once you get through, and determine that you have a target to achieve, the process becomes incredibly easy. Furthermore, 2018 offered me a golden opportunity to restart my passion for writing columns and opinion articles, primarily based on politics, after an appreciable hiatus. This disruption in writing over the most part of late 2017 could be blamed on the strenuous nature of the higher secondary examinations in India. It has been an enjoyable time, writing a good number of columns and reading even more. It also happened to be the second anniversary of my main blog, Politics Now– which now is a site with over 19,000 plus words of unbiased political opinion. Courtesy an extremely congenial professor, and a gem of a person in the institute for management studies (KSOM- Professor S.N. Misra), I have also been undergoing semi-formal training in macroeconomics. What a year has it been from the learning perspective, and with God’s blessings, I hope I can carry this momentum forward. In the political world, protectionist trends seem to be on the rise, fuelled by agressive nationalism in several nations of the world. The US-China trade feud could have snowballed into a major headache for people around the world; but luckily sense seemed to have prevailed and retaliatory sanctions have been kept to the minimal. The US-North Korea talks also seemed to have failed now after initial hype; and North Korea has reportedly not shut down on its nuclear facilities yet (any rational state would never). In Europe, political turmoil, especially emanating from Britain has taken the toll. There are concerns that the EU may let Britain out without the latter framing a proper exit deal with the European union. Theresa May has been on the receiving end of critics for long. Finally, around mid-December, the POTUS announced the withdrawal of security forces in the Middle East and Afghanistan- sparking genuine concerns of heightened terrorist attacks and a re-run of chaos and destability. In South Asian politics, too, there has been significant activity. Former Maldives strongman Abdul Yameen lost out on the elections and his contemporary, Ibrahim Mohammed Solih, was elected president. The Indian government provided a $1.4billion grant to the Maldives, a number which accurately matches the debt that Maldives owes China. Sri Lanka showed the world its strength in democracy when even after an attempted political coup, President Sirisena had to appoint (courtesy the Supreme Court and the Sri Lankan Parliament) Ranil Wackremsinghe as the Prime Minister after deposing him to put his adversary, Mahinda Rajapakse in charge. In the domestic circuit too, things appear very charged. The 2019 General Elections are only a few months away now- and parties are all revving up their campaigns to make the most of the seat-fest. Electrification drives have been a success and the Modi government achieved 100% electrification of rural India in April. This does not mean that every household has access to electricity, however- a village is said to be electrified if at least 10% of the households have access to electricity. Yet, the feat cannot be downplayed and the government must be lauded. However, it has mostly been a year of duds for the government. The RBI-Centre spat took an ugly turn after the Centre battled for access to the RBI’s vault, ultimately ending with the resignation of Urjit Patel and the appointment of career bureaucrat Shaktikanta Das. Earlier this year on Valentine’s Day, the Punjab National Bank reported a $1.77 billion fraud by diamantaire Nirav Modi and his uncle, Mehul Choksi, who fled the country. In Kerala, the Sabarimala judgement rendered by the Supreme Court was not acceptable to the localites and they staged massive protests, which continues to the day. Politicians have jumped onto bandwagons that suite their opportunist nature, with hardly anyone batting for an actual solution to end the crisis. Economic trends from the past year haven’t been all too well. While the Indian economy is making a comeback of sorts, the strength of the recovery is doubtful. While there has been a growth in GVA figures and a corresponding rise in GDP, a closer look at the finer details would help. The services sector has performed exceedingly well, but the industrial sector has been a laggard. The RBI has changed its monetary policy stance to “calibrated tightening”, meaning that a rate cut is off the radars for now. The RBI was hawkish over the first two quarters of 2018, chasing a target of 4% inflation. A rate cut could put back some money in the economy and that the RBI could have some leeway as regards a slight deviation from CPI inflation rate is concerned. Current Account Deficit, a difference between the net import and exports for a country, is projected to widen for FY2019 at 2.6%. The recent e-commerce policy doled out by the Ministry of Commerce and Industry, although favourable for small-scale local traders, have dealt a significant blow to the promising FDI sector for online retail. The law effectively mandates any move which offers customers a significant advantage free of cost, to be an instance of discriminatory pricing- so it is probably time to shell out extra bucks for delivery. In 2019, airline fares are also set to ricochet, with fresh taxes being levied on airline fuel and associated costs. As we welcome a new year, it is important to remember and thank God for the gifts we all have received during the past year. If possible, go around and personally meet, or call up your loved ones, to thank them for their time and companionship. Life in the twenty-first century moves at a fast pace, a pace quick enough to blur out faint memories of people who might have impacted our lives at any point. My 2019 vision for India would be principally centred on political stability. I hope for a stable government at the Centre that delivers on solid governance, and upholds fundamental rights including the much cherished freedom of creative expression. For long enough, there has been suppression of voices and dissenting opinions have become increasingly rare (apart from those in the judiciary). A key concern from the past year, that of institutional independence, needs to be protected with utmost priority. Compromising on the autonomy of crucial operators to attain short-term goals can severely hamper prospects down the line, as biased decision making and corruption would pave their way into the system. To all my dear readers and visitors alike, I wish you an abundance of grace as you step into the new year. New year resolutions, for the most part of it, are ignored- but if you have a hunch on making one, do make it. If you have had regrets because you were unable to do them last year, make sure you own 2019 and make it your way! 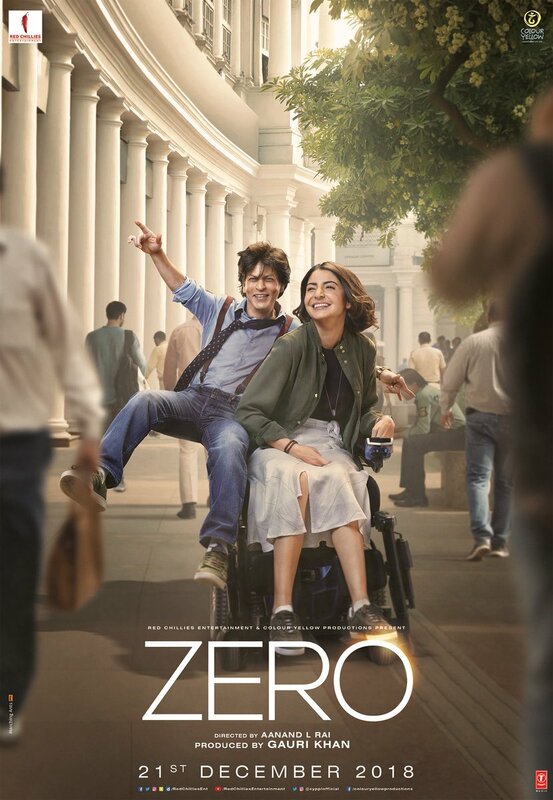 Before I even start with describing how bad the film Zero was, I believe it would be prudent to admit that I am a die-hard Shah Rukh addict; someone who always hoped that the Badshah of Bollywood could perhaps give his acting career post his fifties a major rejig. After watching Zero, I am not so certain anymore. Shah Rukh Khan’s filmography after the onset of 2010 has been that on a hit-loss-hit track. I, however, am not a personal fan of judging films by their Box office collections- by that record, every Salman Khan film would probably go on to become top-rated films. I watch films to ascertain the quality of content the film provides; the originality it bears, and how the film possibly integrates its core theme into the motion picture that we pay for at the end, though not being the run-of-the-mill critic who wears the glasses of a cynic. In short, I like films that I can enjoy. Chennai Express, Dilwale and Jab Harry Met Sejal were absolute disasters, but provided on their core theme of comedy and a doses of SRKian romance. Fan was a major uplift, the dual characters of Gaurav and Aryan were donned brilliantly. VFX work was commendable, too. Raaes, in my frank opinion, was a lovely treat- injecting compassion for an otherwise villainous character among the audience. Dear Zindagi was an out-of-the-box experiment that turned out very well, both in terms of critical accolades and success. The success was because it was relatable, and most of Gen Z could find an instant connect that Bollywood films typically do not provide for. But those were chronicles before Zero. With Zero, Shah Rukh Khan hit a new low. Right from the start to the end, the film remained a mess. Many commentators have reviewed that the ensemble featured the doomed trio of Anuskha-Katrina-Shah Rukh from Jab Tak Hai Jaan. You could take all the greatest actors of the world and engage them in a circus of a plot- and the film would still sink- simply because, there is no meaning attached to it! Films are supposed to be a form of escapade. They take our creative selves on a tour, tossing around with the ideas we can harbour. The principal fault with Zero is that the plot is an absolute zero. Aanand Rai probably tried to stitch together three stories within one; and the sew ended up in tatters. Make no mistake, individual characters portrayed by Shah Rukh- that of a dwarf, or bauna (Bauua Singh)-Anushka with that of a disabled, but inspiring astronomer who has paved the way for the Man on Mars mission (Aafia)- and that of Katrina with a role which suited her usual arrogant self (Babita Kumari)- were brilliant to say the least. Bauua Singh’s character is an extremely difficult role to carry, the gaudy vanity of the character being a particular highlight. But somewhere, the overall connect goes missing, and with that, the film loses its way, too. Who on earth otherwise can imagine of a plot which encompasses a groom running from the bride, attempting to romance a star beyond the ordinary, getting the boot and finally ending up as a man exiled to Mars, all for love? Is that even love? Zero looks to make its way around by introducing forced humour, and drags the second half rather unnecessarily. In fact, almost the entirety of the second half features Bauua’s preparation to leave for Mars. Heck, there is even a scene where in zero-gravity (aka, vacuum), Bauua and Aafia converse, can exist without an oxygen mask in tow. For science graduates like me, and well for everybody else, too- that is indigestible content. Forget breathing, staying in vacuum without adequate pressurised gear can prove lethal. Zero might be a big-budgeted film, but honestly, has failed to do justice to the investment poured in it. It would have been made so much better if only a botched up ending could possibly be restructured and re-worked on. The first half is the only enjoyable portion from the entire film, wherein we are introduced to the characters and their nuances. The climax is hasty, at best- and there’s no denouement to it. The ride we hoped for Zero never took off, and that is the reality. In the end, the verdict is clear: Stay clear of Zero, and save both your money and time. You would not regret it. Governmental elections all over the world are quite important an affair in the sense that such elections satisfy the constitutional demand for a head of state, or that of a federal unit, to be elected on grounds of popular consensus. In India, electoral seasons are quite a spectacle to behold- from the campaigning process to the declaration of results, everything seems to be over very swiftly without noticeable friction. The caution, however, is that it so appears when examined from the wider lens. On panning into the depths of the electoral process in India, we find several anomalies in the entire activity. In India, elections are held at the national level and at the state levels- called the General elections and the State elections, respectively. This entire polling process is conducted and monitored by a Constitutionally authorized independent body, the Central Election Commission, whose primary responsibility lies in the conduct of ‘free and fair elections’ on the basis of Universal Adult Franchise. Unfortunately, despite the best of efforts from the Commission in recent times, elections are hardly fair to the last vote. Elections nowadays are mostly associated with graphic displays of violence, bombings and intimidation cases. Saddest of them all, is perhaps the attempt to hijack the very process itself- through practice of rigging. It is an open secret that such attempts to deface the primary pillar of democracy is clandestinely supported by politicians themselves. The problem is, the evidence trail is cut off most of the times. Raking up religious sentiments looks to be the new norm of the day; and no one is batting an eyelid over it. Over thirty percent of the people’s representatives in the Lok Sabha have criminal cases stacked against them. Illiterate hordes with rich family backgrounds have also appeared in the foray: all these are cumulatively adding up to pull our entire democracy in the reverse gear. Political funding in India is highly opaque. In 2014, a non-profit organisation Global Integrity, ranked India on 42nd position out of 54 countries, assessing each nation by their transparency metrics. In fact, India even ranks 6 ranks lower than its neighbour Pakistan. Despite introduction of a law by the Finance Minister to replace cash donations by electoral bonds, the cardinal loophole still exists- that of anonymous donations. While the cash limit has been decreased from Rs. 20,000/- to Rs. 2000/-, the very introduction of such anonymous electoral bond purchase defeats the purpose of the move to ensure transparency. This was reiterated by the former Chief Election Commissioner, O.P. Rawat, who demitted office on 1st December, 2018. It would perhaps be a farce to write on the vices surrounding Indian elections without mentioning the criminal track records of candidates and elected legislators. A staggering figure of 34% of India’s Lok Sabha MPs have criminal cases lodged against their names- from rioting to murder- and everything in between (Vaishnav 2017). What is shocking is that candidates with criminal antecedents have an 18% chance of winning the poll than fresh and clean rivals- who stand a meek 6%. Muscle power and money, thereby, influences the election process in a big way. India’s elevation of lawbreakers to lawmakers is thus no short of an interesting story. Literacy rates amongst legislators are alarming to say the least. 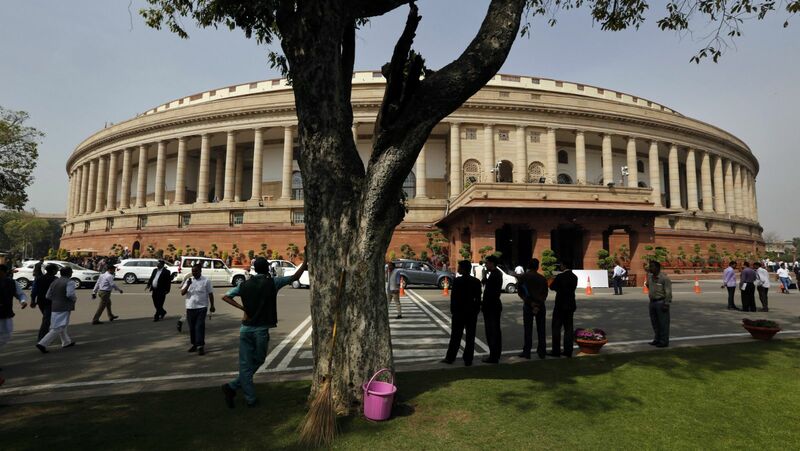 The sixteenth Lok Sabha features six Members of Parliament who have not even completed their matriculation courses. Such a want for literacy at the highest levels of democracy effectively creates a void for constructive participation in debates that arise in the Lower House. This statistic is worse for the Vidhan Sabhas; where illiterate MLAs abound in considerable numbers. Among such states, Haryana, Bihar, and Uttar Pradesh feature prominently. An absence of criteria outlining the basic educational qualifications of candidates is a major hurdle. There simply seems to be no political will in amending such a trend. Ever since 2014, when Prime Minister Narendra Modi ascended the chair of the Prime Minister, a wave of Hindutva nationalism has swept across the country. Religious minorities have been openly threatened and persecuted. Even caste held no bars as stories of oppression and humiliation of the Dalits poured in from every corner. This gave rise to violent clashes in Maharashtra, where the tensions ran high. Politicians from right-wing parties and members of the fringe outfits have found that religion is easily saleable to the masses to garner votes: and the trick has worked time and again. Inflammatory statements made by local politicians to gain votes in the short run bring about deep communal divides that are near impossible to repair. The Muzzafarpur riots is a good example for such a blatant promotion of religious hatred, which left in its aftermath 62 dead and a total of 50,000 people displaced. Despite such a venomous electoral atmosphere, positive mends are being made, or at least, being sought for. In September, 2018, the Supreme Court hauled up the Central Government, asking the Union to frame adequate and necessary laws to ensure complete decriminalisation of politics. Earlier, the Election Commission had made it mandatory to declare the criminal antecedents before filing nomination for elections. There is also a general agreement on the fact that India needs to amend its academic qualification requirements for candidates contesting the elections. After all, a lawmaker who does not understand the subtle discourse of crucial agendas is no good to legislate in the first place. In Abhiram Singh v/s CD Commachen (2017) the judiciary also barred the use of religion, caste, and language as a means to appeal the voters. This was a positive and welcome move. There is also a constant pressure on the government to make the process of political funding open, and anonymous donations must not be entertained. While steps are being taken to ensure the dream of realising free elections in the truest sense of the term; we are probably staring several decades away when the electoral process in India would be free of taint. For now, ensuring the clean up of the existing lot of mess is much more important than bringing in more candidates with questionable backgrounds. The economic policy of any country is often an essential parameter to judge the advancement of the State. A good economic policy often concentrates its attention on the attainment of macroeconomic stability, which in due time bears consequential reaps for the nation as a whole. On the contrary, a myopic policy can be effectively described as one which intends to leverage temporal factors in the world economy and/or domestic circumstances to bring about growth, which can lead to fracture marks on the economy after the boom is busted. Thus, economic growth must be both sustainable and stable at the same time. Any kind of economic growth entails an increase in the market value of goods. Long run growth, however, is the sustained growth of such an increase in value of goods and services that an economy produces over a considerable period of time. Such long run growth depends on a number of factors. Foremost among such indexes are an increase in general productivity, demographic changes, and labour force participation. For example, when productivity increases, the cost of the product comes down, and thus demand goes up, generating higher revenue. Demographics is very important as it is what determines the available resources at hand. A country with a younger populace and high birth rate should do reasonably well in the long run than a country with an ageing workforce and low birth rates. Likewise, discovery of a precious natural resource, say crude oil in abundance, can open up gates of prosperity for any nation. Lastly, the labour force participation is representative of the strength of the work force available to the economy in order to keep its cogwheels running. The causes for a short-term high growth rate are aplenty. It may be due to a surge in productivity due to external factors, or it may be due to an increase in the overall production in certain sectors (say, agricultural increase in output with sufficient and adequate rainfall). Causes for such growth can even be internal- upcoming national elections, or even a bullish trend in the markets. Such phases are characteristically marked with high rates of loan-giving and availability of credit in the markets, which is wonderfully coined as irrational exuberance. However, despite providing an immediate impetus to the economy, short-term growth spells are mostly taxing on the economy in the long term. As these spells of excessively high growth rates cease, the economy enters into a phase of mild recession- and it certainly takes time to recapitulate and restore itself to pre-boom scenarios. Furthermore, a country dependent on such a variant of growth is held hostage by external circumstances- which are in most cases, beyond control. Thus, such growth is not sustainable and therefore, they must not be the focus of the country’s economic policy. It is essential to remember that while such short term high growth periods may seem luring at first glance, it is ultimately the long-run growth that shall determine the country’s position in the global spectrum. The Nobel Prize for Economic Sciences, 2018, was conferred to Nordhaus and Paul for their contributions in the development of a theory of sustainable growth and long-run stability. This was an important step in the endeavour to realise an inclusive macro policy to be adopted in order to secure a bright future in this ever-changing world of the twenty-first century. Macroeconomic stability is an essential component of sustainable growth. It acts as a buffer against countless swings of the global economy, negating any impact of crises in some other part of the highly interlinked world today. Developing economies have often experienced far greater macroeconomic instabilities than their industrial counterparts. Policy makers can foster stable macroeconomic policies either directly or indirectly. They can either opt to remove destabilizing policies themselves, which serve as sources of internal shocks- or indirectly, by using policies in response to exogenous developments- thus bettering the stability of crucial outcome variables. This stability goes hand-in-hand with sustainability- effective measures must be implemented only after a proper computation of all associated aftermaths involved. When it comes to India, we are already being tied down by external shocks from time to time- most prominent of which are the oil shocks. Additionally, the threat of a global trade war is on the radar- and hence we need to secure the Indian interests as early as possible. A lot of positives are on our end. We have a population that is still young, ready to replace the retired. By easing FDI norms, we are attracting investments from all over the world. There is however, a lot more way to cover if we are to sustain this kind of growth over the future. A fantastic case to understand the consequences of high short-term growth can be a study on India from 2004 to 2008. India witnessed an abnormally large growth rate, exceeding 8.8% a year for these four years. 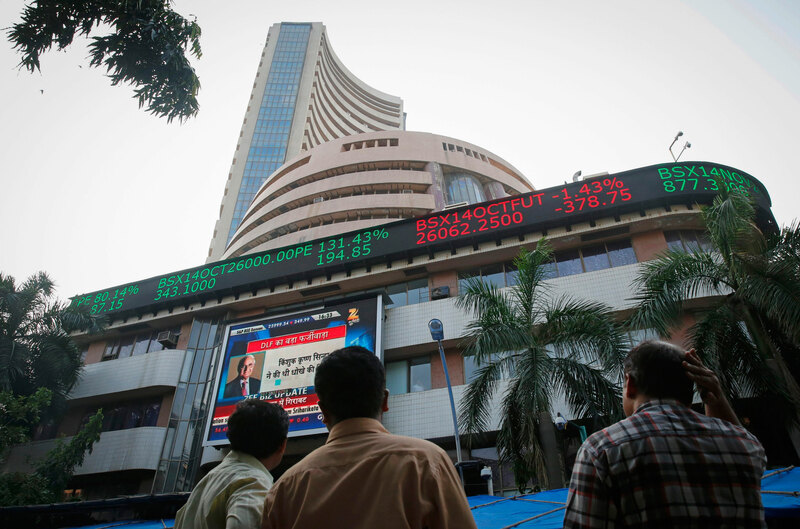 This reflected the outcome of a global economic boom on which India catapulted its growth. However, a lot many of domestic factors can be attributed to the phase as well. This high growth was preceded by liberalization of the Indian economy post the 1991 balance crisis, in which significant steps were taken to make the economy open up to the world. A careful look reveals that India rode on the usual buoyancy in the global economy and easy global liquidity, leading to growth acceleration across all sectors and components that constituted the national GDP. However, the period of high growth from 2004-08 proved to be a major headache in upcoming years for most Public Sector Banks (PSBs). Exuberant bank credit growth during this period led to high balance sheet stress. Raghuram Rajan, who was the 23rd Governor of the Reserve Bank of India, even blamed this exuberance for the excessive increase in Non-Performing Assets (NPAs), which is a cause of worry for the banking sector now. Immediately after this period of high growth, the global recession also impacted the Indian economy- thus snatching away any opportunity to capitalise on the accelerated growth rates during the past four years prior to the Global Financial Crisis. As a contrast, India’s long term growth has been impressive. Despite variations in the long term growth rate, the average growth over any decade has consistently grown, and has not gone into the red for a single time. Economic growth has also stabilised itself- partly due to growth rates stabilising itself within each sector, and partly because India is shifting towards the services sector, which generally ropes in a stable growth rate along with it. It is thus pertinent now to spend money on much-needed public investment, while reducing misdirected subsidies and unsolicited entitlements at the same time. Sustaining a growth rate higher than the present 7.5%, in excess of 8%, would require effective structural reforms, contributions from all domestic sectors, and support from the global economy. Achieving this would require a well-planned reform effort that maintains the reform momentum and expands its scope, and succeeds in decisively reversing the slowdown in investment, availability of credit, and exports. Additionally, India must begin to spend heavily in promoting the research culture. All major developed economies today have voluminous research output every year. In comparison, we fare poorly: we have learned more to duplicate than to innovate. The celebrated economist Paul Romer, who won the Nobel this year credited new and implementable ideas as essential driving forces for the economy. Once growth is made more inclusive, and a target is set to enhance the performance and efficiency of the Indian public sector, sustainable growth can be reasonably expected. Thus, if we can maintain and build on this stability, India would venture steps towards being an economic prowess soon. The names of the winners for the 2018 Nobel award for Economics have been announced. The Sveriges Riksbank Prize in Economic Sciences in memory of Alfred Nobel was divided equally between William D. Nordhaus and Paul Romer, both of American descent, for their contributions in integrating climate-change and technological analysis with long-run macroeconomic analysis. While Nordhaus studied the impact of climate change on macroeconomic variables, his counterpart Romer’s domain of research comprised of the growth in the economy with technological innovations over time. The fact that the Nobel was awarded to Nordhaus and Romer together intends to drive home a strong message: that we need growth, and that such growth must be sustainable. While economic growth is always appreciable, it will soon cease or run into negative rates unless the growth is sustainable. What we mean by sustainable here is the ability to maintain the growth rate at a constant level over a good period of time. A sustainable market economy has to be competitive, well-governed, green, inclusive and integrated. However, market failures may very well be a part of the quest to attain a sustainable growth. The risk of market crash due to unregulated markets is very much a threat today. Such unregulated sectors often function erratically; degrade the environment and typically tend towards monopolistic power. The thirst for such a grip on power results in an attitude which excludes the basal segments of the society from their idea of economic progression. Thus, laws have been framed to correct such faulty market behavior that may crop up. William Nordhaus, one of the recipients of the treasured Nobel, has been a pioneer of what can be termed “green accounting”– which is, simply put, a method to approximately estimate the amount of environmental damage when measuring economic growth. It was based on his presentation of the economic model that measuring the economic costs of climate change was made possible. Nordhaus developed the DICE and RICE models to understand the economics of the vagaries of climate change. The Dynamic Integrated Climate-Economy model (DICE) is an effective computer algorithm that aggregates multiple factors including carbon cycle, climate science and other dependencies to predict how viable steps taken to slow greenhouse warming would be. Today, when concerns about climate change and its ramifications are widely being debated, his contributions have swept the world with unforeseeable impact. It is his work that underpins the policy framework of the United Nations Intergovernmental Panel on Climate Change which released its new report just a day before the announcement of the Nobel Prizes in Economics- nothing short of a beautiful co-incidence. Paul Romer, on the other hand, has made key contributions for sustained economic growth, basing his ideas on the importance of innovation. He makes it explicitly clear that physical capital constitutes only about one-third of the variation in income per capita across countries. The failure of the Soviet Union was a perfect example backing his claim; the Soviets went all out on investing in infrastructure, and yet could not realise the desired growth. The other two-thirds have their origins in a concept that economists refer to as total factor productivity. Romer has developed a theory of economic growth with endogenous technological change — that is, growth can depend on population growth and capital accumulation, instead on the unilateral investment on public infrastructure. In contrast, Robert Solow, who formulated the Solow model (or the neo-classical theory of growth) believed that productivity was exogenous to capital inputs. His endogenous growth theory integrates the development of newfangled ideas to the number of people working in the knowledge sector (say, for example, in research and development). These new ideas make the regular agents of manufacturing more productive – conveniently put, ideas enrich the total factor productivity. His theory is significant for more reasons than one. Those who innovate new technology may not always be able to latch onto the returns that the technology brings, while benefitting the economy as a whole. Hence, there may not be enough incentives to innovate. Romer’s endogenous growth theory has helped formalize the analysis of a number of relevant public policies such as promotion of investment in human capital, supporting research and development projects, and designing and enforcing intellectual property rights- hence providing enough incentives for the innovators to come forward with their ideas. Nordhaus’s and Romer’s theories and contributions are important steps towards understanding the recipe for a sustainable growth-driven economy. The foundations of each of their propositions, that of impact of climate changes on the economy, and the importance of technology generated growth, has certainly opened up new avenues that can be further explored in detail. Both these models provide for sustainable growth, which is what the world precisely needs to adopt in order to permit emerging markets to make significant strides en-route to becoming developed economies. In September of 1843, the much-cherished magazine of today, The Economist, was started. In 2018, it thus celebrates its one hundred and seventy-fifth year; an appreciably long way to go for any magazine of its kind. James Wilson, founder of The Economist, adhered by certain fundamental principles- such as the being champion of free trade, free markets and limited government. Thereby, he was in a way the pioneer of a new way of political thought in his time- that of liberalism. In fact, The Economist was founded to campaign for the repeal of the oppressive Corn Laws in Imperial Britain, which put high import taxes on food grains. Liberalism today can be defined as a way of political philosophy wherein individual and civil liberties, and rights of the individual are held sacred and of principal concern. It would thus only be fitting to explore how the concept of liberalism has evolved over the years from Wilson’s days to the present day we live in. There are certainly a lot of positives to count on. Rapid globalisation has transformed the world in more ways than one: average global life expectancy rates have skyrocketed, while milllons have been uplifted from severe poverty. These trends are only expected to continue. All across the world, there is a general notion that civil liberties are inalienable to the man, and that has now become the cornerstone for a good number of nation states. There is a fantastic co-relation between the most developed countries today and the number of liberal governments it had at the helm. Over the period of the nineteenth and twentieth century, while isolationism, fascism and communism failed, liberalism stood out as the lone exception; perhaps a poetic ode to its core belief to evolve and sustain itself as it goes the way. However, it would be foolish to assume that liberalism is still driving the world, and that it faces no crises at present. Over the last twelve years, civil liberties have lost ground in 71 countries, while only 35 made any gain (Freedom House Report, 2017). This is a worrying statistic. Liberalism has died an ideological death, perhaps, arising out of mere complacency. The liberal elite likes to dwell in an illusory world where everything is sugar-coated to their tastes. In actuality, it is not such a perfect scenario. Liberalism had its roots from humble starts, as a tool for change. True liberals contend that change is gradual, it cannot be enforced on somebody (thus, opposing revolutionaries). Unfortunately enough, this hunger for introduction of change has become non-existent. Liberals must remember that their founding principle remains civic respect for all. The centennial edition of The Economist, in 1943 chalked out two defining principles for liberalism: one being freedom, and the other being the idea that human society could ultimately be an association for the welfare of the multitude. Fast forward to now, and divisive forces have found significant traction across communities. Group identities defined by race, religion or sexual orientations are springing up, thus diffusing the entire idea of the second guiding principle of liberalism. What is worse, is the fact that even liberals have grown conservative- unable to accept the risk that comes with upsetting a stable system that keeps them doing better than the rest. Today, liberalism looks disillusioned and without a proper direction. The young generation is the engine of change; and true liberals from among them must be pragmatic in their approach and adaptable to any situation that may arise. In the advent of passionate nationalistic governments and their associated propaganda, the liberals must find an opportunity to display their brand of nationalism- harping on inclusivity- and embrace it as their own. Criticism and dissent must be welcomed and not suppressed- which is something key to liberalism. Liberalism has always been tagged with reform, but reform cannot sustain itself where stagnation settles. Thus, the complexities of the twenty first century can only be dealt with gusto and vivacity– which is, precisely, the need of the hour for liberalism to revive itself from the archaism it has subjected itself to. All over the world, the seasons at the start of the year, spanning from February to May, is somewhat mundane. In India, however, this is the time for the exam season- flooding overwhelmingly with undergraduate admission processes pan-India. Millions of students apply for colleges and everyone is made to undergo the heat through various competitive examinations held to determine the merit of the student. It has been a hectic season so far for me, but I’ve secured admission in one of the premier private colleges of Eastern India, KIIT- Bhubaneswar. I’ve always wanted to fiddle with the radios, explore how devices really worked, and from my childhood it was my unfortunate habit to tweak with the setup. This is why I’ve taken up electronics engineering at the institute. I expect the next four years to be a rollercoster of a ride- bringing in new experiences, knowledge, internship opportunities, and a plethora of other similar activities. I would for sure, miss home- as they say, home is where the heart is! While most of my friends have already been through with the packing and planning, I’ve checked only one of the boxes so far- that of planning. My packing is in shambles; I will need to go and get it done at the earliest. Considering the fact that I do not have much time left for my stay in my home state (West Bengal), I had a pretty busy schedule last week- meeting people, getting together, birthday parties, and the list is unending! Wish me luck as I step out for a new venture ahead. For people who followed my earlier blogs, this is definitely a marked change. IIS-India was my very first blog, the one which I had started in 2012. It has grown exponentially now and has a staggering view counter of nearly 260,000 viewers. This is definitely a big number on all fronts. However, IIS-India lacked a key ingredient: finesse. As I had initially started out with Google’s own in-bred platform Blogger, which offered very limited templates and customisation abilities- I was to say, constrained at best. I, being the person I am, would prefer professionalism over profit any day! And thus I took the leap to professionalism. This revamped look which offers a minimalist theme has been curated to exclusively focus only on the content. Content, as they say, reigns supreme. I, Dipankan- the blog- will be my personal forum where I would blog on a lot of topics that interest me. If you are here because you would like to read my articles on politics and the associated conundrum- it is located at Politics Now. I sincerely welcome you aboard the journey to discovering the everyday, once again!